Sugar, spice, and everything nice. This is The Aces. A genuine voice of our generation, The Aces are no ordinary girl group. There is no hidden drama about who hates who and who is going solo next year. They are just four girls from Utah, who have been making music together for over a decade, despite their mainstream debut being only last year in 2017. 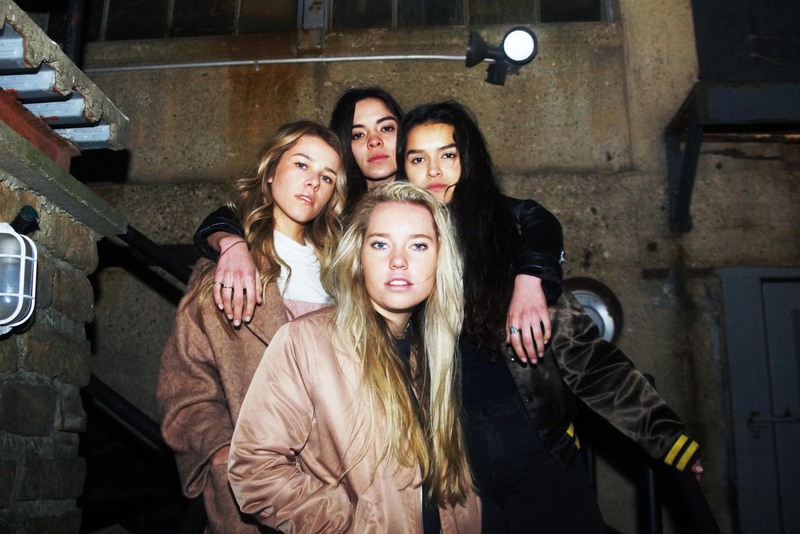 The girls are only twenty-somethings and they have already made a splash with their debut album When My Heart Felt Volcanic, released in April 2018. There is no rest for the talented as right after opening for 5 Seconds of Summer all summer, The Aces embarked on their first headlining tour in the UK and EU. On a cold and rainy November night in London’s Camden Dingwalls, The Aces brought incredible warmth and energy to the sold-out crowd on the last night of their UK tour. A hauntingly alluring mix of sugary pop and alt-rock echoed through space as the entranced crowd sang and danced along to every song, getting every lyric right. The Aces are not a one-woman show. There is an overwhelming sense of unity and camaraderie. Despite only sisters Cristal and Alisa Ramirez being actual relatives, the chemistry between them, Katie Henderson and McKenna Petty feels just as potent. Lead singer/guitarist Cristal is a siren on stage luring us in, breaking our hearts then giving us hope for love once again. Alisa’s drumming compels you to clap along. Katie’s guitar solos are skilful and show experience well beyond her years. McKenna, on the bass, is calm and cool as she provides the steady heartbeat of the songs. Their ability to keep up their infectious high energy is astonishing. Even after a solid hour of performing, they managed to jump in sync as the 500 people in attendance jumped and stomped to the beat of their final song ‘Stuck’. It was a miracle the walls didn’t literally come crashing down as the roar of applause and screams enveloped the venue. But what is most touching is the love The Aces show for their fans. Each member had the chance to express their love for the fans but most memorable was when McKenna teased “so sing along if you’re an OG AceFace,” which most of the audience were as we erupted into a rendition of ‘Baby Who’, a song off their first EP released back in 2017. There is clearly a special element in the band to create such a devoted fanbase. With lyrics such as “oh you know how to win them over but not this time”, ‘Fake Nice’ provides the perfect clap back to that frenemy. While ‘Volcanic Love’ describes lust in such a beautiful way you don’t even realise it, “under the ashes/ The heat you left just won’t subside”, The Aces are the ultimate soundtrack to your life. With their first headlining tour wrapped up and another set in the U.S. for the New Year, it is only a matter of time before The Aces are the next big name in the indie music game. Check out their music video for ‘Volcanic Love’ below. Taking advantage of what the UK has to offer... The opportunity to see my favourite indie acts when they go on a 'world tour' I also like films and theatre.